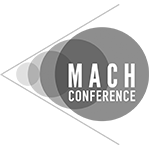 The Mach Conference is an annual, open event that showcases the state of the art of multiscale research in materials, with an emphasis on advancing the fundamental science and engineering of materials and structures in extreme environments. MEDE CRA members are significant participants in this event, which shares research discoveries to the broader community. This program provides funds for selected Morgan State University undergraduates to spend 8-15 weeks working at a specified list of the participating research universities, the Army Research Laboratory, Lawrence Livermore National Laboratory, and other companies. ESI must be focused on research related to the Center for Materials in Extreme Dynamic Environments. 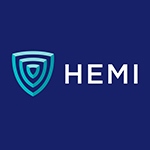 See what our ESI students accomplished in 2018. 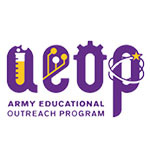 Provides undergraduate students with an authentic science and engineering research experience alongside university researchers sponsored by the Army Research Office. Through this commuter program students will develop skills in Army critical science and engineering research areas in a university lab setting to prepare them for the next steps of their educational and professional career. See what our URAP students accomplished in 2018. Intensive, multi-day, educational courses taught by a master of his/her field. Appropriate for professionals, researchers, and graduate students from industry, government, national laboratories, and academia. We ask the leaders of the field to teach, to integrate both principles and practice, and to focus on the topics they find most exciting.